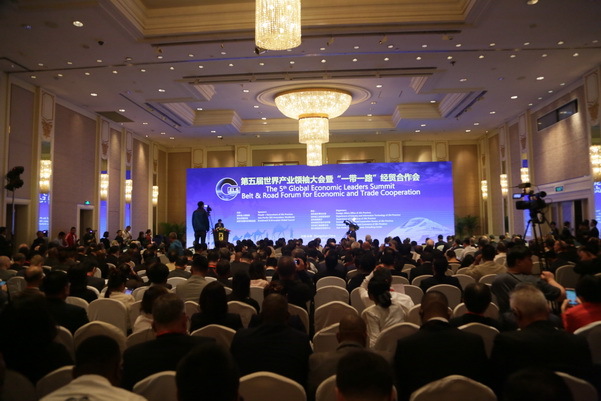 The 5th Global Economic Leaders Summit (GELS 2017)—Belt & Road Forum for Economic Cooperation and Trade was held on August 30th—September 1, 2017 at the Shangri-La Hotel, Changchun City, Jilin Province, China. The GELS 2017 was sponsored by the Asia-Pacific CEO Association (APCEO), a world-known international economic organization, the People's Government of Jilin Province of China, and Investment & Innovation Global Council (IIGC), and organized by Foreign Affairs Office of Jilin Province, Asia Pacific Fortune (Beijing) Economic Consulting Center, Asia Pacific Fortune International Business Limited, Development and Reform Commission of Jilin Province and Department of Industry and Information Technology of Jilin Province. The Global Economic Leaders Summit is the first international economic cooperation summit with industry & business leaders as its main participants and be held in Asia at regular intervals. The theme of GELS2017 is “Promote International Industry Investment and Innovation, Enhance Belt & Road Economic and Trade Exchange and Cooperation”. On Aug.31, Mr. Bayin Chaolu, Secretary of CPC Jilin Provincial Committee, Mr. Zheng Xiongwei, Global Executive Chairman of APCEO, Mr. Zhang Anshun, Secretary-general of the CPC Jilin Provincial Committee, Mr. Lin Wu, Vice Executive Governor of Jilin Province and other leaders met with VIP guests from China and foreign countries presented at the meeting. © IIGC, All Rights Reserved.